In one of my last posts on Your PF Pro, I summarized what it’s like to sell your house and how to avoid some of the mistakes we made. Now that we’ve (almost) sold our home, we’ve put an offer down on our new home – and it was accepted! A lot of people ask how two young people are able to put down money for a new-to-us home and, while how we saved money for a down payment is another topic I’ll cover later, there are a few ways that you can put down money for a house of your own. 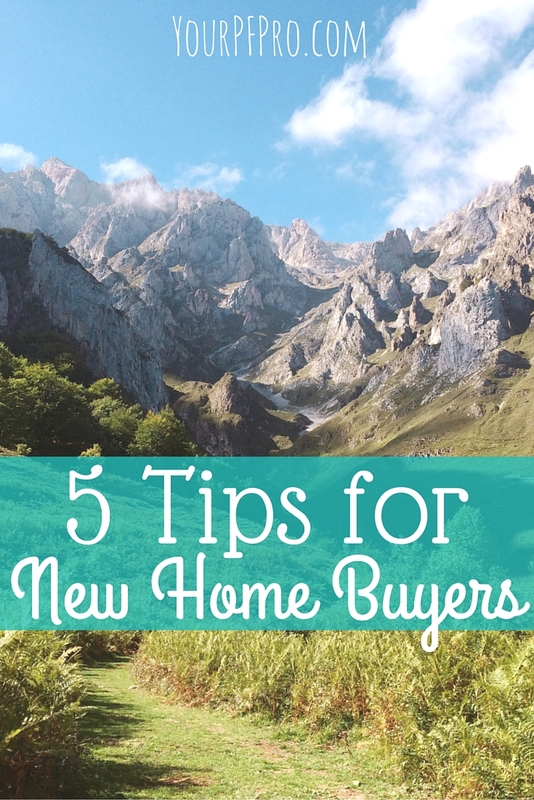 If you’re interested in buying a home, check out these tips for new home buyers – and share your advice in the comments! One of the simplest ways new home buyers can purchase their first home is by saving up roughly 20% of the price of their home. In Phoenix, homes in nice neighborhoods can go anywhere from $150,000-$300,000, which means you would need to put down anywhere from $30,000 to $60,000. If that sounds impossible, it’s okay! While many people believe it’s best to put down at least 20% on a house, you don’t have to. However, if you put down less than 20%, your bank will most likely charge you PMI – Private Mortgage Insurance. PMI is something banks require you to take out because you’re seen as a riskier loan than someone who is putting down the conventional 20%. There are a few other ways to avoid PMI, but putting down 20%, or around there depending on what your bank requires, is the easiest way to avoid it. The Federal Housing Administration (FHA) mortgage insurance program offers loans to all types of borrowers, although FHA loans are commonly associated with first time home buyers. This program allows you to put down as little as 3.5% of the purchase price of the home, although you will have to pay PMI. PMI also increases the size of your monthly payments, as it is an additional insurance cost, so keep that in mind when budgeting your monthly mortgage! Depending on where you live, your state, county or city may offer down payment assistance programs. Particularly if you’re in (or were in) the military, are a first responder, or teacher, you may qualify for additional down payment assistance. In Phoenix, the Home in 5 Program helps families with a 3 to 4% down payment, with no repayment required. California also offers a down payment assistance program for home buyers. If you’re interested, Google “down payment assistance” and your state, county and city to see if there are any local programs you qualify for. Before making the leap to home ownership, try to make sure you have some savings left over after buying your house. I know it’s hard after you’ve just likely spent several thousand dollars (or more if you’re trying to avoid PMI), but you never know what kind of renovations you’ll want or, more likely, need to do when you move into your home. On one hand, you can always fix or upgrade issues in your house over the years, but if you’re able to tackle it right away to get your home fixed before you move in, that can save time (and possibly money) in the future. One thing I’ve learned as a new home buyer is there are a lot of little things we have to pay for. Termite inspection, plumbing inspections, the regular general inspection, etc. It seems like every time I answer the phone, I’m signing some document, paying someone, or sending someone else more information about our finances. It’s a good idea to both have money to pay for any smaller expenses, and be very, very organized. You’ll need to collect your finance records to provide to your loan company, and you’ll also want to keep track of who you’ve sent information to and who you have paid. While buying a house can be stressful and expensive, for new home buyers, there’s nothing more exciting than getting into your first home! 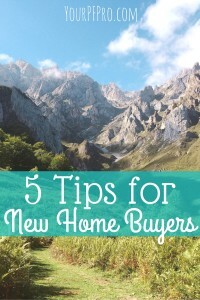 Do you have any advice for new home buyers? If you haven’t bought a home yet, what questions do you have about the process?